Btw, you don't have to read the replies! Everything is in the pitch itself! Very unique culture, technologically behind the surface by the end of civil war. Had a giant city called Kanohi built at the rim of the giant volcano the Heart of Artakha, where powerful Kanohi masks were forged. If you want to talk about it on the show, @Mesonak, @Jon, @IllustriousVar, please read more of it. Thank you very much! Long time ago, when Kanohi Dragons roamed Arthaka, six matorans grew in massive power. They made a pact, uniting the island for the first and last time, their alliance dubbed the League of Six Kingdoms. The "warlords" as they came to be known threw the island off balance. Because of this, the Elemental Gods decided to send six warriors to defeat them. When the league was defeated, the Toa imprisoned them on a far and remote island in the Naho Bay, which would later become Mahri. The prison's purpose was to hold it's prisoners under any curcumtances and not let them come to harm. Because of this, the warlords were able to reach impossible ages. By the time the island froze, they were hundreds of years old. This was seen as a cruel punishment, as they had to spend so many decades living with the fact they were all beaten. The Toa also sealed away the hanohi masks to avoid them being used for wrong reasons again. They also forced the Matorans to abandon the city of Kanohi, so no other powerful masks could be forged, rendering the city useless and abandoned. Nothing remains of it today. Born in Mangai to a poor family. 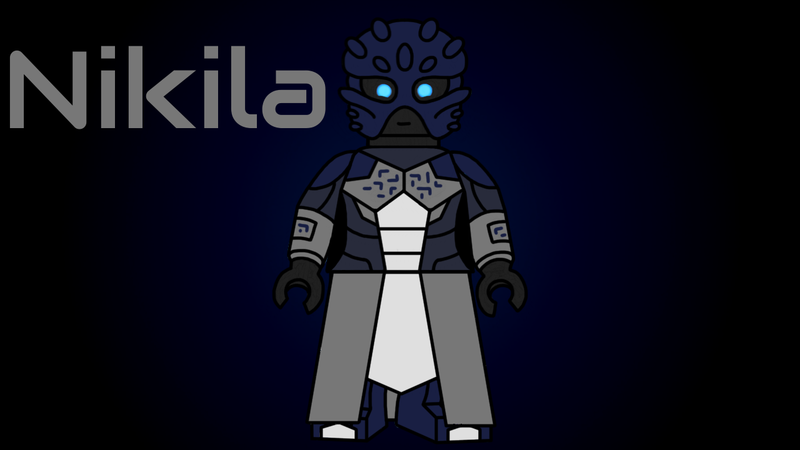 This achievement was later given to Vakama, a lieutenant of Lhikan (Toa Tahu) and Kalmah was forgotten for good. Even though he shared his cruelty with Pridak, they were not friends, due to Kalmah's ambition and Pridak's pride. Defeated by Lhikan (Now Toa Tahu) in the Battle for Dead Plains. He was the second warlord to be beaten. Youngest of the warlords, being roughly fourteen years old during the Council of Six Kingdoms, and in his mid-twenties when he was defeated. Born into a family of famous builders in Kanae. Had great interest in architecture. For his short stature, he was often bullied. He developed a strong sense of revenge, striking interest in poison. Because of his skill in poisons, his family climbed to be very powerful stewards. After his father died of food poisoning, he became head of the family. Ehlek finally proclaimed the Kanae Kingdom, with him as the king. Ehlek was afraid Kanae might get attacked by the other kingdoms. Because of this, he fortified the region, filling it with more castles than even Mangai had. During the Council of Six Kingdoms, he wanted to poison the others for safety. After making friends with Carapar and Takadox though, he decided against it. 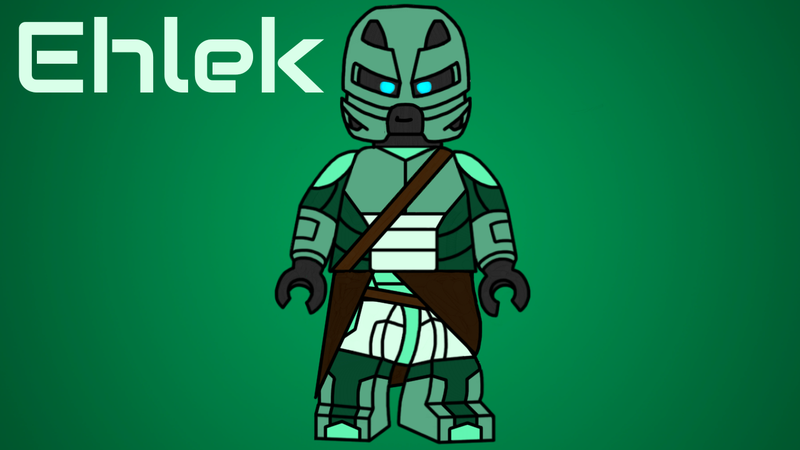 Defeated by Lesovikk (Now Toa Lewa) (And later maybe becoming Bingzak?) in his own palace. He was the first Warlord to be beaten, but his armies took another sevelar years to hunt down and defeat, as they were extremely patriotic and hard to kill, thanks to Ehlek's fortresses. 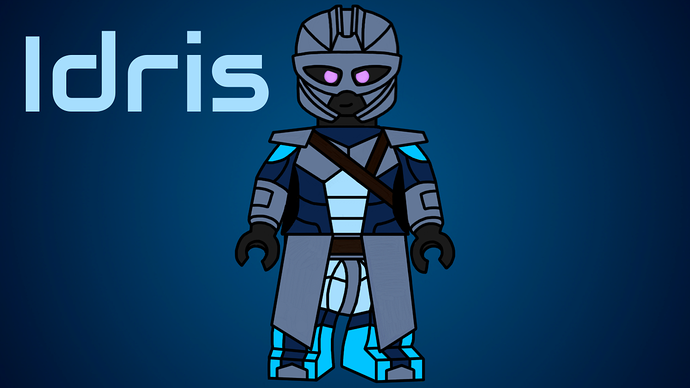 His mother often told him that he was the smartest and most beautiful matoran in the world. Because of this, he grew incredibly proud of himself. Often covered himself in expensive silks, having his mask beautifully painted. During the Council of Six Kingdoms, he participated only because the other five warlords did so. Overthrown by his own sister Krakua, now Toa Kopaka. in his own palace after a duel between the two. He was the third warlord to fall. Born in the streets to a poor widow. Loving her greatly, he used manipulation and deception to make money and steal food for him and his mother. Few years later, his mother died to a chill, leaving Takadox an orphant. On her deathbed, he promised that his family will never know powerty. Sold one of his eyes to a Tiroan sorcerer for money. Became friends with another poor matoran called Vamprah. Together they used deception and manipulation to make money. It took them few years until they became the ritchest Nahoans. They persuaded the council to make Takadox the king of Naho and Vamprah his hand. Married a nahoan girl called Pelagia out of love. She was murderd by the citizens of Naho when Takadox was overthrown. Had a great network of spies all aroundn the island. There was a saying going around the island about them. "How many eyes does king Takadox have? A thousand eyes and one." Came up with the idea of the League of Six Kingdoms. He called the council. It was due to the Ihuan's pride, as Takadox was phisically frail and not attractive. Became friends with Ehlek, as both enjoyed deception. Overthrown by Tuyet (Now Toa Gali) in a battle for the capital city, between the Loyalist forcest and Tuyet's rebels. Forced to watch his wife die by the hands of an angry mob while Tuyet did nothing. Said to be the first of the warlords. Said to have practised sorcery and dark magic, using the Kanohi masks. Build a huge underground city to be the new capital of Tiro. Said to be the largest city on the island. Built entirely of an oily black stone, that eats light. Made to house entire population of Tiro, but is only inhabitesd by 1/10th of it. Said to be full of sorcerers, shadow-slavers, warlocks and blood mages. During the discussion, he said nothing, only at the end nodded his head and agreed. It is said his voice was harsh, quiet and full of dark energy. After the council, none of the warlords heard about him again until their imprisonment. Defeated under unknown circumstances by Jovan (Now Toa Onua) in the deepest regions of the Deeproot Jungle. Seventh and last warlord to fall, it took additional eight years for the Toa to track him down and finally end his reign. Poisoned whole armies with food he gave them while surrendering. Marched with an army to the Council of Six Kingdoms. Made friends with Ehlek, because both liked poisons. Married Ehlek's relative as a gesture of friendship. Sadly, she died not long after under suspitious curcumstances. Became a distant friend to Kalmah. Defeated by Zaria (Now Toa Pohatu) in a one-on-one combat. Until it was forgotten-for-good, this duel was legendary. Carapar was the fourth warlord to be beaten. Formerly a peasant in the lightning tribe. Was recruited by Takadox to become the new ruler of the region, in return becoming his servant. Through Takadox's deception became the King of Lightning. Was added to the league later than all the others. The Kingdom of Lightning was thus under full control of Naho. Easily overthrown by a mob of Elysians with the help of Zaria (Now Toa Pohatu). Sixth warlord to fall, shortly after Takadox. The island was later found by Nahoan settlers. It was quickly colonized by all regions, as it was large, beautiful and unclaimed. Multiple cultures joined on the island, creating a mixed settlement. The seven warlords were sealed away there, as it was an island comprised of all cultures, and it was remote enough. Decades later, a geological catastrophy happened. It sunk the island to the ocean's floor. Many Matorans died, leaving mostly waterbreathing Nahoans and only a few others. 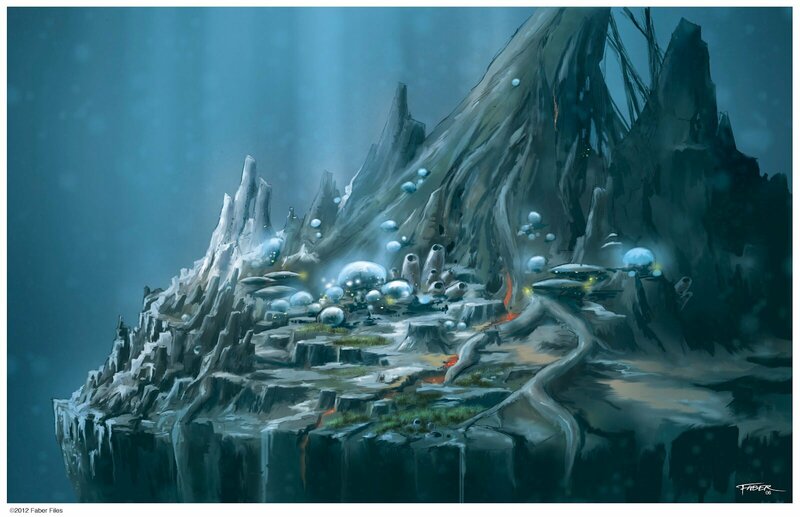 They found underwater caves full of air, aswell as air producing rahi, Hydruka. Over years, they gathered enough air to construct a large air dome over the previous settlement, which had been destroyed and had to be rebuilt. Eventually, the settlement grew into a large city, the matorans developing their own culture and becoming completely independent. The city is split into multiple areas by different air domes. Some are used as storehouses for harvested sea grass, some as religious areas for temples and the largest ones for the city itself. They are used as breeding grounds for underwater rahi called Hydruka, which produce air for the city. Some parts of the plains are harvested for the sea grass itself, as it is full of nutrients and is delicious. At the border of these Sea-grass plains, a vast, dark and unexplored Kelp forest lies. It is known to be very large and dense. Few matorans ever enter and leave. There are rumors of dangerous rahi and monsters roaming the forest, entering it is forbidden among the undersea Matorans, except for one group of experts. 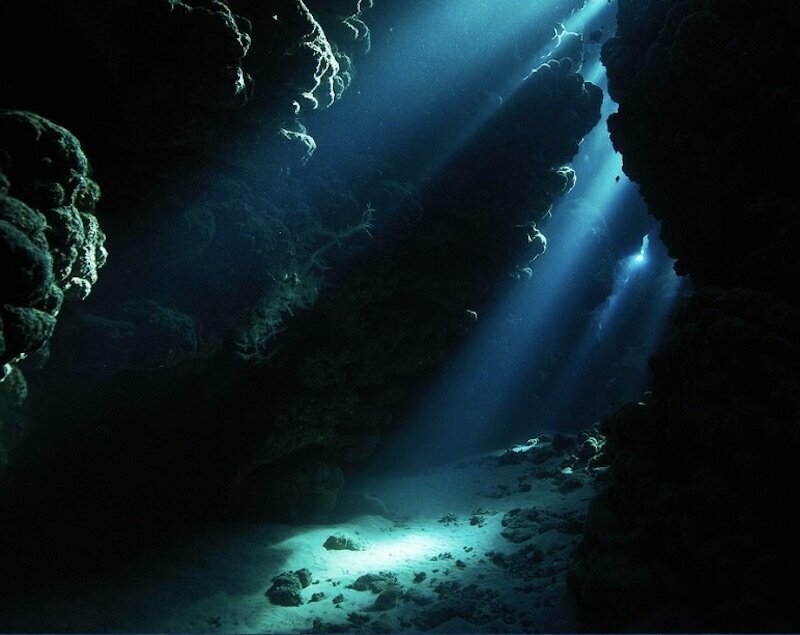 Below the city, there is a huge and mostly unexplored system of underwater caves. The first explorers reported hearing strange and disturbing whispers, aswell as seeing dark shapes, swimming through the caves. Field with large spikes, full of dangrous rahi, such as Takea Sharks. Entering these areas is forbidden for most Matorans. Inceribly dangerous and unexplored part of the Whispering Caves. 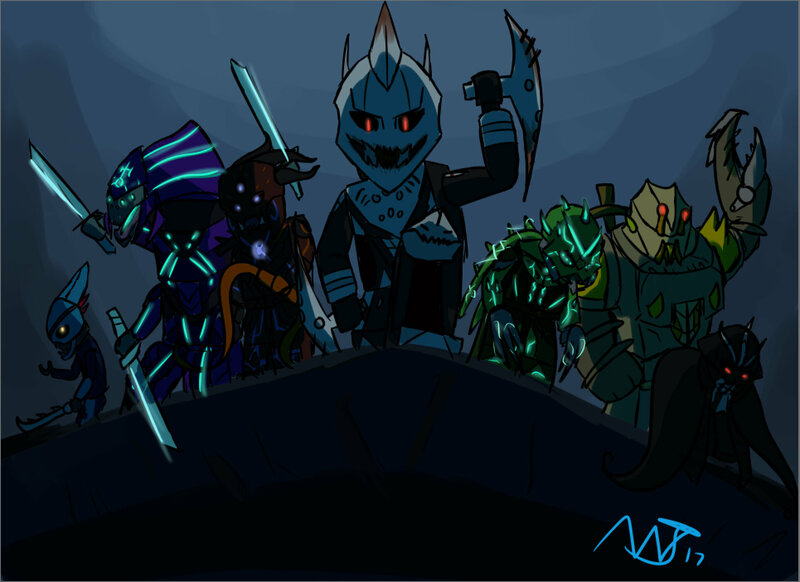 Only one matoran returned from there to tell the tale. Possible location for the Toa to explore? Large mountain at the center of the sunken island. That is not a problem, however. The Matoran's don't want to leave, as they are xenophobic to the surface matorans. Over the many generations, the population of the underwater city would mix into it's own type of Matoran. Some matorans would be of cobalt, teal and purple colors. None of them would have elemental powers, due to the mixed ancestory. The matoran smiths and mask-makers would however find a way to craft more masks capable of giving it's owner water breathing. Most of the matoran would be of strong yet slim stature, adapted to life under water. Some of them developed webbing between their hands and legs. The most common job is fishing, followed by farming of sea-grass and kelp. Then there are hunters of wild rahi, after them common tasks like building, etc. These matorans are not peaceful. They are hardened by the environment they live in. Used to combat, they do not mind violence. However, they are peaceful among themselves, for all of them share the same faith. The Mahrians believe that their goddess, Akida, has abandoned them, sinking the island. For this, they are very xenophobic, hating their counterparts on the surface. They believe in Mahri, supposed daughter of Akida, who granted them the air-producing rahi called Hydruka, aswell as temporary underwater caves full of air for them to live in. Mahri is said to be a fish-like goddess, resembeling a mermaid. She is often portrayed as a motherly figure, often prayed to for succesful pregnancy, health and fruitful harvest. Trial of Mahri: a very dangerous trial through which only the strongest, quickest and most enduring matorans can pass. The trial is entirely voluntiery, though. The matoran has to swim through the Sea-grass Fields, into the Basalt Spires and kill a Takea Shark with nothing but a small knife. Then he has to return with the shark's three teeth. 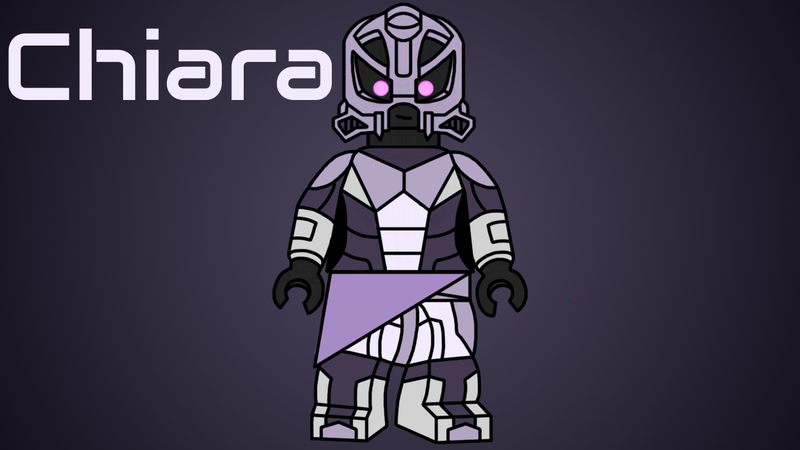 Upon his return, the Matoran is given great respect and honor, recieving the title of a "Mahri", this title holds a very small amount of matorans, due to this test being so dangerous. He aswell gets a pure-silver version of his mask, decorated with golden ornaments. The three teeth of the Takea shark he killed are put on the mask. Festival of Owaki: Every five years, the matoran celebrate the daughter of their goddess, Mahri. The festival is full of life and lights, food and happiness. It is a symbol of peace and prosperity among all of the underwater matorans. Main government of the city, comprised of eight Matorans, considered to be the greatest stewards and governners. 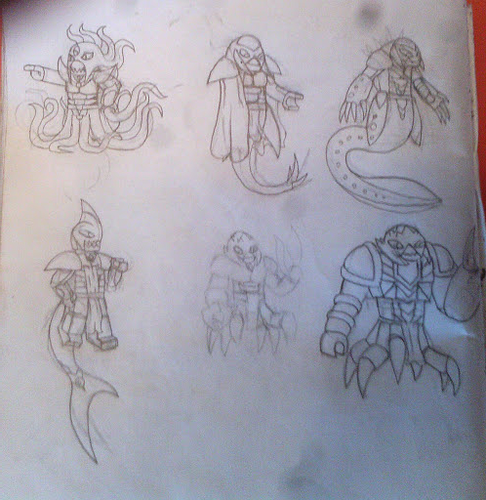 Group of elite explorers, the only matorans permitted to explore the Kelp Forests and the Basalt Spires. Comprised of strongest, quickest and most intelligent matorans, each has to complete the Trial of Mahri and earn the title of a Mahri to become it's member. Group of strictly female matorans acting as priestesses of the goddess. Leader, the High Priestess is considered the prophet of the goddess Mahri, having great respect among all citizens of the city. All of the matorans have a water-breating version of their masks, like Toa Mahri. 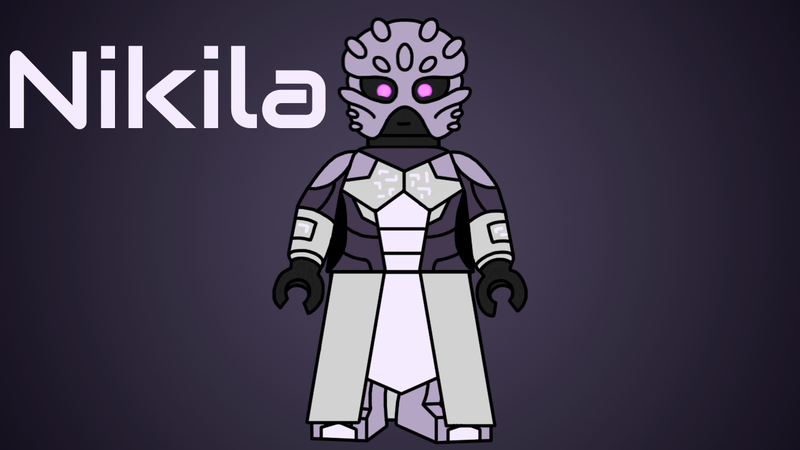 They wear silver-teal armor along with dark red-purple clothes. Very young female, content and humble. He passed the Trial of Mahri, but cheated, as he is not strong nor quick enough to pass, yet he wanted to become a member of the pack. Middle aged male, competitive, proud and wroth. Her parents died when she got to the surface of Naho Bay, she survived. The Rahi of the underwater land of Mahri are a dangerous and alien lot. Most of them do not even come close to resembling anything the surface inhabitants could imagine. Wingspan of about eight meters, lenght of about six. Peaceful, herbivores, capable of creating air bubbles from an organ on their backs. Artakha during the Kanohi Period. I really like the pitch. Not sure about a Karzahni cult, but I'm sure something will work. BTW, you should probably remove profanity such as h-ll. There's rules against that. I really like this idea, the cult of Karzahni sounds like a cool sub-plot. Although, I would change Carapar a little. Government: Monarchy established by Kalmah after his conquest of Mangai was finished. He became the first ruler of the whole Mangai and the first true unitor of the region. 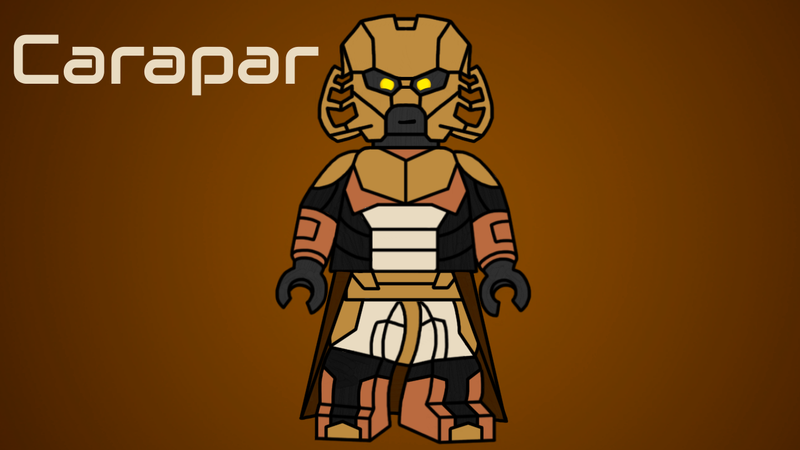 He thus predates the legendary Vakama the Unitor by sevelar decades, but being forgotten by almost all Mangaians, while the praise for uniting the city-states being given to Vakama. 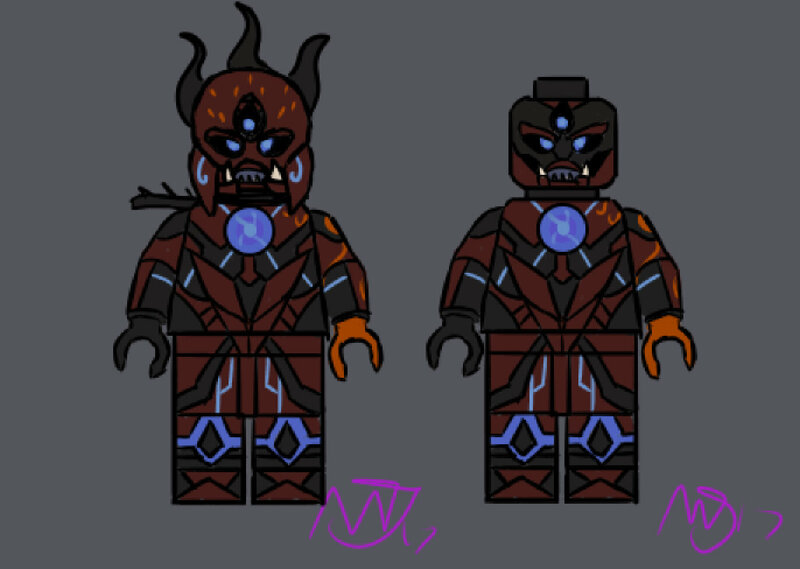 After Kalmah's defeat by Lhikan (Now Tahu) the region was once again divided into dozens of city-states, until Vakama united them again, the Council of Mangaia being established after his death. Due to the Heart of Artakha's increased activity in this time-period, Mangai was an extremely hostile region, filled with lava-rivers and erupting geysers. Similarily militaristic and war-like. The Mangaians were especially hostile during this time to other Matorans, though. Monarchy, established by Ehlek after his family became the most powerful in the council, which as the original government. The royal family wasn't large, but there were sevelar members. Ehlek isn't known to have had any siblings, but he had a more distant relative, presumably counsin, which he married to Carapar. There were less floating islands, many of them were filled with castles, their larger counterparts being on the ground below. Most of them were taken apart after Ehlek's defeat by Lesovikk (Now Lewa) (And later Bingzak?) and the rest were left to decay and be forgotten. Much more war-like and paranoid than during the time of the third Toa team. Kanaeans weren't as cheerful, did not enjoy their lives as much and were generally more paranoid and introvertic than before and later. Their king's apparent paranoia of being invaded was one of the main contributors to this. Monarchy, much older than Pridak himself. The royal family consisted of him and his sister, Krakua, who would later become Toa Kopaka. 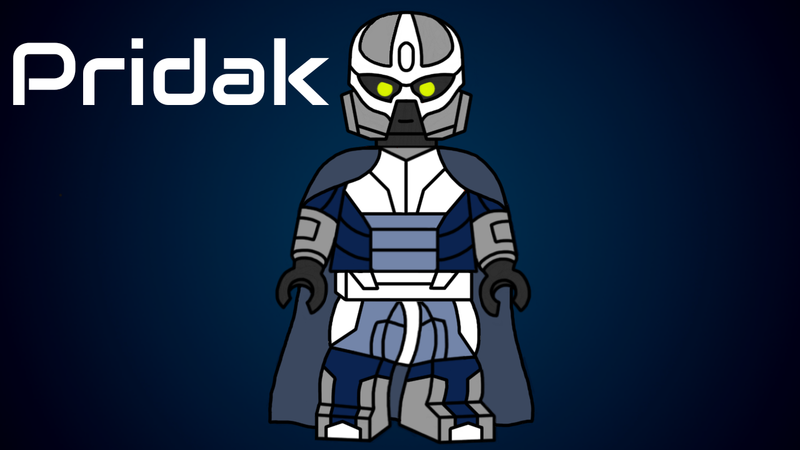 After Pridak's downfall and imprisonment by his sister, Krakua (Now Kopaka) inheireted the region, passing it onto her son and eventually to Matoro and Izotor. That makes Pridak a distant ancestor of Izotor. Not changed at all, you could say Ihu was 'frozen' this whole time. Much more paranoid.. The isolation of Ihu resulted in huge uprise of patriotism, the king's personality only adding to it. The Ihuans were very careful with their words and their work, as their king had very strict ideas of what Ihuans and their work should look like. This resulted in the Ihuans being extremely quiet people, not engaging in long conversations even in their families. Monarchy, established after the election of Takadox as the first Nahoan King and his wife as the first queen. Later overthrown and changed back to Arbiter Kritarchy. Hasn't changed for the most part. There still exists a surface island that will one day become the underwater Mahri. More based around the coast, the City of Sails was not built at this time. The capital of Naho was a coastal city, at the time of the third Toa being in ruins. The Matorans only stayed on the sea for fishing trips, sea trade not being viable due to passive aggressivness between the regions. Monarchy, established by Mantax approximately fourty years prior to his downfall. Has not changed much. The Deeproot jungle is much denser, darker and more mysterious than it will be in the future. It is said the mythical "Tree with a Thousand Eyes" otherwise called Il'athrass was alive at this time, but after Mantax's defeat, it disappeared, without explanation. Tiroans at this time delve into dark arts of magic, other matorans say they enslave shadows, practice sacrifices and necromantic spells. Those that refused to do so were forced to back into the most isolated and densest parts of the Deeproot jungle, the rest of the region being taken over by Tiroans following Mantax's ways. The new capital Mantax built was deep underground, in one of the largest cave systems of Artakha. It was filled with thousands of buildings, having the role of the largest city ever built on the island. A dark and dim place build from oily black stone that eats light. *Monarchy, established after Carapar overthrew the council of the Eye of the Storm, making him the first and last king of Motara. Carapar took Ehlek's relative as a wife, making her the first and last queen of Motara. After Carapar's imprisonment by Zaria, now Pohatu, the council of the Eye of the Storm was re-established. Apart from the ever-changing sea of sands, hasn't changed at all. Much more militaristic and hostile than during the time of the third Toa team. Lots of sand-pirates pattroled the desert, rendering it almost impossible to cross it unharmed. The Motari were afraid of war, robbery and violence, as Carapar's armies were everywhere and allowed to do almost anything they liked. Government: Monarchy, established by Takadox and ruled by Nocturn. 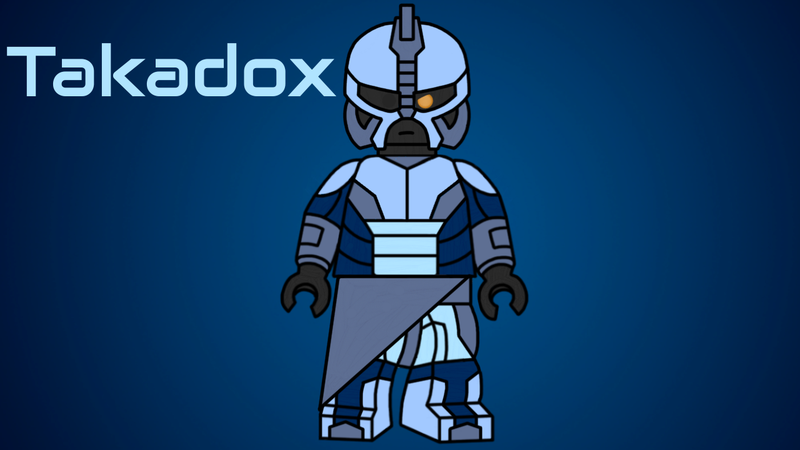 Democracy, ruled by the Council of Six, with a representant of each Matoran tribe. This was because the Matorans were still in different races, as the mixing hasn't begun until the sinking of Mahri. A lush tropical forest with deep and dangerous jungle with a mountain in the middle, but beautiful and ritch coasts. Full of wildlife and plants bearing fruit and vegetables, seen as a paradise. Extremely peaceful compared to the rest of the island. It became independent and signed a treaty about peace and neutrality with the mainland prior to the Age of Warlords. All Matorans on the island live in prosperity and happiness, unlike their mainland counterparts. I think Carapar would be almost the opposite of your pitch, and I always imagined him as a brute, often forgetting when to stop fighting, which led to Takadox destroying his mind. I think, with his original character factored in, he might push too hard, and lose many forces, but not care in the slightest because of the almost endless supply. I don't know, just my take on Carapar, yours works too, and as of late, we've seen plenty of character shifts in G3. No.1: How were the most powerful warlords on the island defeated by a rebellion lead by simple matoran? No.2 Why weren't they killed when they were defeated? Not sure on this one, I'll think about it. No.3 How did the warlords survive the sinking of the island? Well if Ekimu and Makuta built Karzahni's prison, I would believe it had special morphing abilities to render any attempt to free him useless. When the island sank, the fortress's ability sealed the water out to prevent its inmates release. Upon the islands impact with the reef however the prison was damaged and starts to leak water through the cell walls. As the water leaks through, it takes microscopic fragments of the walls with it, transferring the prison's ability to morph to the inmates mutating them. No.4 How did the warlords break free from the prison and Karzahni did not? Maybe the mutation could have caused Karzahni to have grown into a gigantic monster with the loss of his ability to manipulate his size. This would mean he couldn't physically escape his prison and would have to rely on others to do his work until he is released. No.5 How are the powers of Karzahni not making all of the Matorans in the city completely insane? Not sure, I will think about it. I just noticed an inconsistency with the this and the canon timeline. 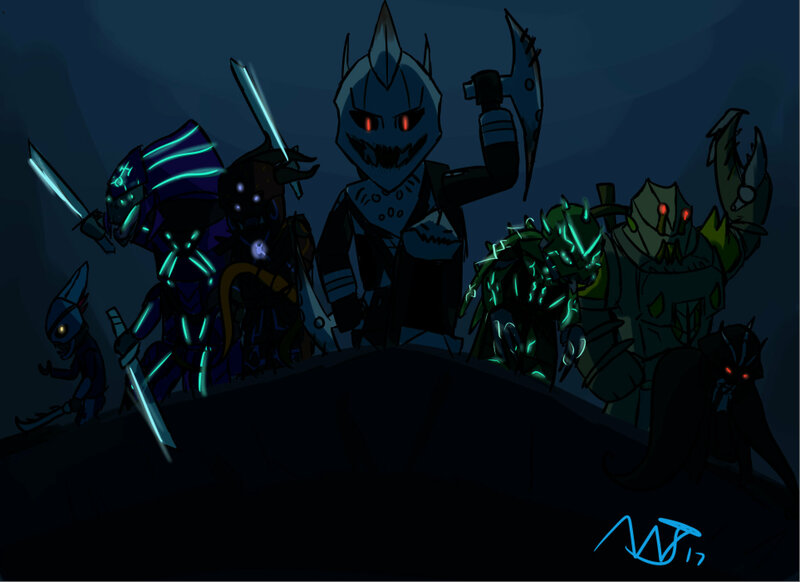 You say that the seven tribes, supported by Ekimu and Makuta, defeat the Barraki and seal them away. However, the existence of the Lightning Tribe is the cause of the schism between Ekimu and Makuta, so they would be fighting each other at that point. I don't think they would ever work together. 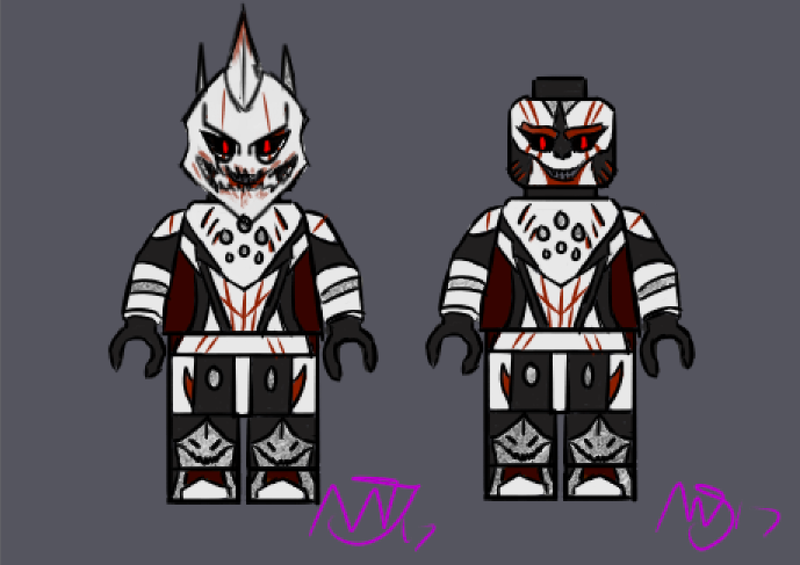 What if the Toa who sealed away the Kanohi Masks also led the rebellion against the Barraki to imprison them. That would fit the continuity much better. @Bokarda Thank you for pointing that out! I wasn't as sure on the timeline of these events. I'm adding this topic to the list. I really like this idea. No.5 How are powers of Karzahni not making all of the Matorans in the city completely insane? Maybe he doesn't want to cause them to leave as they are why the Toa come and accidentally release him according to one of the destinies he sees. So he only messes with them if they try to leave basically making them his prisoners. I like this. It's interesting, although some of the plot holes are patched up rather weakly. I'll take a stab at it, along with some other thoughts. Because if the being's presence on the island, many inhabitants began to hear whispers, making them go mad. I don't like this very much. I think a prison would keep the prisoner from influencing others to free them. A better solution imo would be something along the lines that the island is inhabited by dangerous rahi that were meant to act as guards for the prison (Maxilos Robots?). These guards would only patrol the deeper island near the prison, but since a majority of the valuable resources were located there, many matoran would leave or die trying to collect them. Over time Matoran would leave as they realized they couldn't safely reach the resources. 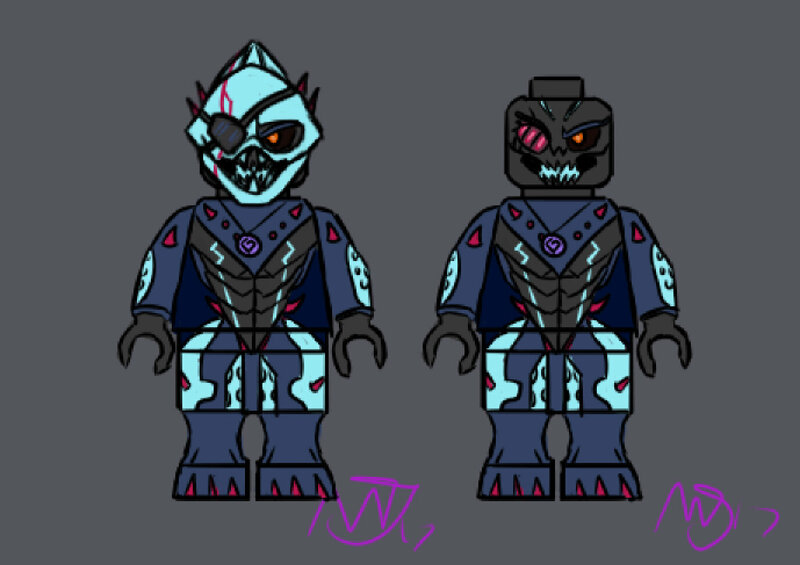 These Guards may later be killed by the sinking of the island, allowing the Matoran who stayed the ability to get those resources, but not be able to really profit off of them. Nocturn: This is probably the biggest change. 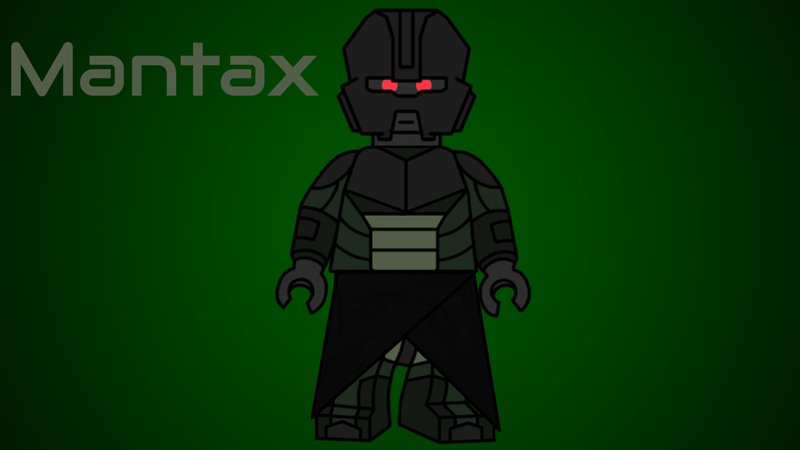 His G1 counterpart was a mere lieutenant of Takadox, I purpose the idea of making him a seventh warlord. 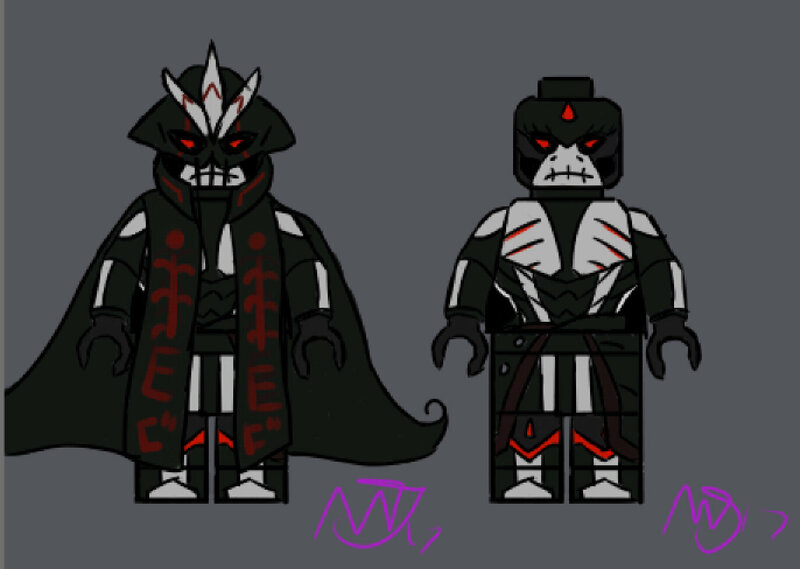 We already have the Lightning tribe as canon, aswell as Voriki, so why not make Nocturn a Matoran of lightning? Nocturn was not very bright or intelligent, only joining the League because all the others did so. He was choleric, acting without thinking. Even though he was one of the warlords, because he joined the last and after some time, and because the other warlords payed no respect to him, the League's name stayed the same, seventh kingdom not being included. How about we merge the G1 and G3 ideas? I say he owns his own kingdom, but he's manipulated by Takadox to do his bidding so in the end many simply see him as Takadox's puppet. Further adding to the reasons to disrespect him. it takes microscopic fragments of the walls with it, transferring the prison's ability to morph to the inmates mutating them. Really don't like this. way to Dues Ex Machina. I say that we go with the idea that the Barraki are serving Karzahni, and Karzahni changes their form to suit their environment, but can't make them amphibious due to the magic chains explained in the next segment. How did the warlords break free from the prison and Karzahni did not? Now, since the Shape Changing material plot device was removed, I have a proposition to fix this reopened plot hole. Karzanhi would be entrapped by magic chains that shifted with his form and reduced his powers, and would keep him from escaping through the opened holes. It would also limit his power to influence the minds of the matoran, so only the matoran who go into the cave would be affected. 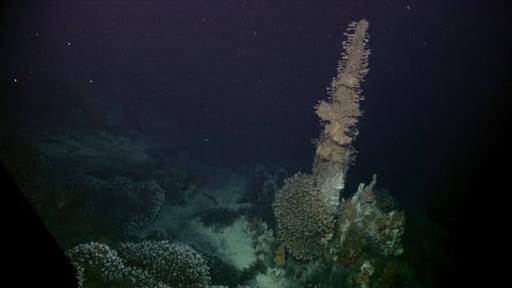 At the edge of these plains, large and dark kelp forests would sit, believed to be place haunted by monsters. Amaizing ideas! I want this thread to be alive and constantly changing with the help of community, so I will add your ideas to it! 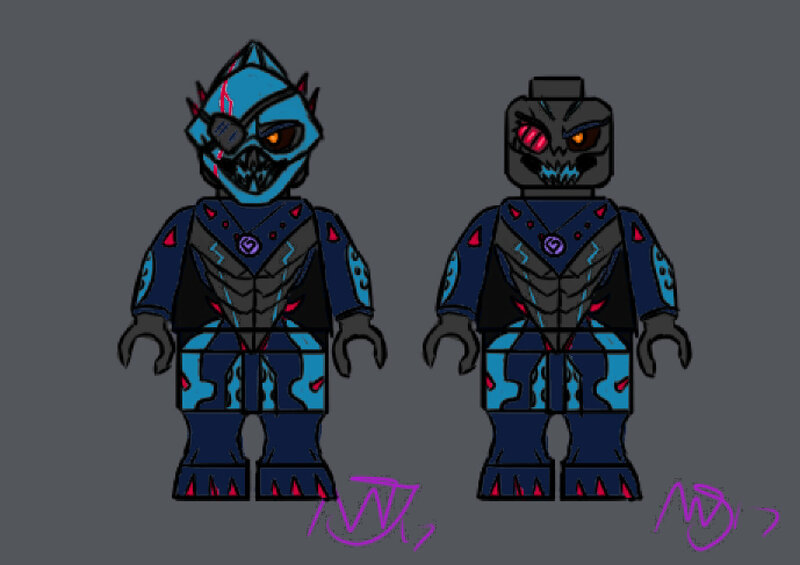 About the monsters and rahi: Yeah, well, Matoran would consider them monsters, as they would never venture there out of their own minds. By the way, I am working on a short story about the reign of Pridak! I will most likely release it tomorrow! Looked at it, it's interesting, although some of the ideas clash with these ideas. It's meant to be a collection of brainstorming, so take it with a pinch of salt. Just to clarify, which parts conflict? I might've read it a bit too fast to properly process, as it doesn't quite cause a conflict, but it feels a bit too perfect, or it might be wording. Mainly the Hydraxon being amphibious specifically, instead of adaptive biology, and Maxilos robots boiling water, instead of control of heat. 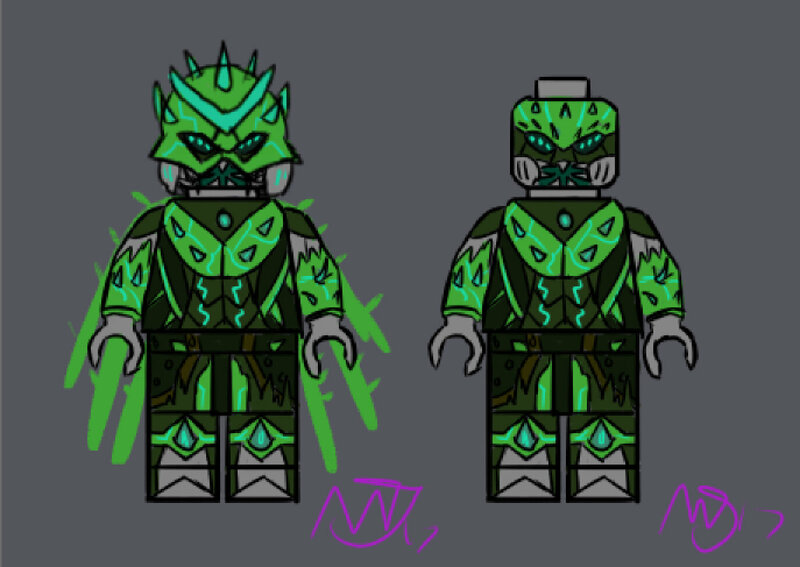 These were originally designed to act as guards for a prison on the surface, and I doubt Ekimu and Makuta would've known for sure if the island would sink. Granted they might've known it could have sunk, but then that brings up the question of why not just build it somewhere else. That is a fairly good question, I will add it to the list, so we can start brainstorming the answer. The idea is that Ekimu gave all the Colossi (including Hydraxon) free will and freedom from mind control, but told them subconsciously to hide this knowledge from Makuta. 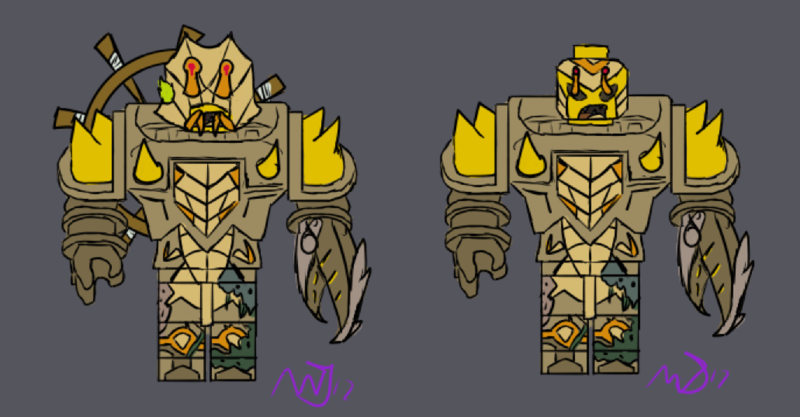 Using Hydraxon's free will and new ideas, Ekimu would build him robotic protectors (the Maxilos) to help him with securing the island from any potential outside threats, like sea monsters. Ekimu would keep Hydraxon amphibious and not adaptive to limit him (Ekimu would be concerned about rebellion). He would keep the Maxilos only aquatic to prevent them from taking over the island. Basically, it's to minimize the damage. Oh... That actually does conflict a bit... I think this proposes the prison is on the island, while your idea has the prison in the water the entire time. If I'm understanding correctly. The other stuff makes sense tho. I can see why you'd think that. However, you're assuming the Maxilos were originally built to guard the prison. The Maxilos were built specifically as underwater enforcers, to protect the island from hostile Rahi, monsters, etc. 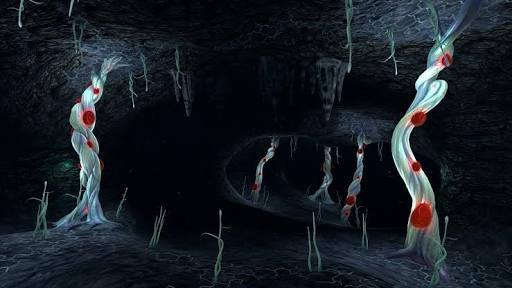 However, once the War of Three Brothers ended, with the prison sinking (according to this topic's pitch), Hydraxon and the Maxilos would view the prison as the top priority. Edit: I just changed the Maxilos origin, since I just thought this post up.